Does Diet Soda Increase Blood Pressure? Diet soda might seem like a smart beverage choice because it's calorie-free and doesn't contain any added sugar, but it's actually associated with higher blood pressure, though drinking it won't necessarily cause hypertension. High blood pressure puts you at an increased risk of several health problems such as heart attack and stroke. If diet soda is your beverage of choice, perhaps you should reach for an alternative drink to help prevent blood pressure-related disorders such as stroke. Diet soda drinkers are more likely to have high blood pressure than those who don't drink diet sodas on a regular basis. While there isn't one specific reason researchers point to that explains the link, one potential explanation is that drinking diet soda is linked to weight gain, and being overweight contributes to high blood pressure. Another possibility is that diet soda contains sodium, and a diet high in sodium can contribute to high blood pressure. 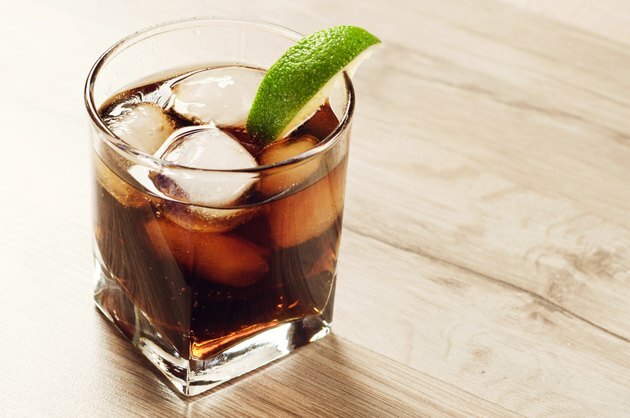 A 12-ounce serving of the average diet cola contains 57 milligrams of sodium, which is 4 percent of the daily 1,500-milligram limit recommended by the American Heart Association. If you drink several diet sodas a day, these sodium numbers can really add up. Drinking one diet soda per day increases the lifetime risk of stroke by 16 percent, according to a 2012 article published in the "American Journal of Clinical Nutrition." That risk increases even more if a person drinks more than one diet soda each day. Diet sodas that contain caramel coloring can increase inflammation, which can raise the risk of stroke by causing the growth of atherosclerotic lesions, the same study also notes. Some of these effects can be blamed on the fact that drinking diet soda is associated with higher blood pressure, a condition that increases the risk of having a stroke. If you drink diet soda and have high blood pressure, you might be at a higher risk for heart problems. For example, individuals who consume diet soda are at a higher risk for myocardial infarction, according to a 2012 article published in the "Journal of General Internal Medicine." The same effect wasn't found in people who drank regular or light sodas. Daily diet soda drinkers are also more likely to experience vascular death or heart attack. It's wise to eliminate diet sodas from your daily diet. Replacing diet soda with healthier beverages that aren't associated with higher blood pressure is equally as important. Water is the best beverage choice, but other unsweetened drinks such as carbonated water, black coffee or tea, are also appropriate. You can also help lower your blood pressure or maintain a healthy blood pressure by eating plenty of fruits, vegetables and whole grains, limiting sodium intake, maintaining a healthy weight, and exercising regularly. Cleveland Clinic: Do You Drink Soda Every Day? Harvard Medical School: Is There a Link Between Diet Soda and Heart Disease?